Santa Clara University School of Law, one of the nation’s most diverse law schools, is dedicated to educating lawyers who lead with a commitment to excellence, ethics, and social justice. 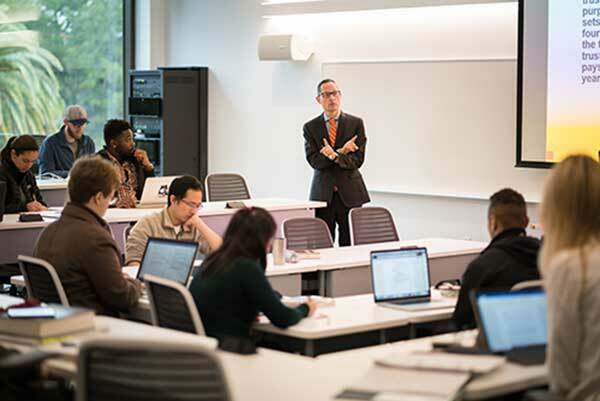 Santa Clara Law offers students an academically rigorous program including certificates in high tech law, international law, privacy law, public interest and social justice law, as well as numerous graduate and joint degree options. Located in the heart of Silicon Valley, Santa Clara Law is nationally distinguished for its faculty engagement, preparation for practice, and top-ranked programs in intellectual property. Contact Admissions at (408) 554-5048 or complete the form below. The Katharine and George Alexander Community Law Center provides pro bono advice and representation in several areas including workers’ rights, consumer rights and immigration rights. Contact KGACLC or complete the form below. Please contact Santa Clara University's Bursar's Office. Complete the form below and we will deliver your information to the correct department.